Coppell Personal Trainer and Dallas Area Nutrition Systems from Get You in Shape. Meet the Team at Coppell's Get You In Shape. Get You In Shape‘s Founder, Brad Linder, hand selects each Certified Personal Trainer to fit the TEAM of trainers that all work together to help each and every client reach their fitness goals. Get You In Shape‘s personal trainers are committed to serving their clients and the needs of others to make health and fitness a lifestyle. Each Certified Personal Fitness Trainer will have have a top certification with extensive experience in health and fitness. The Get You In Shape team of professional trainers and fitness coaches provides each and every client a positive environment that helps with motivation, encouragement, and inspiration. As a former professional basketball player, Brad utilized the knowledge attained from a Master’s degree in Health, Kinesiology, and Sport Studies, to optimize his performance. 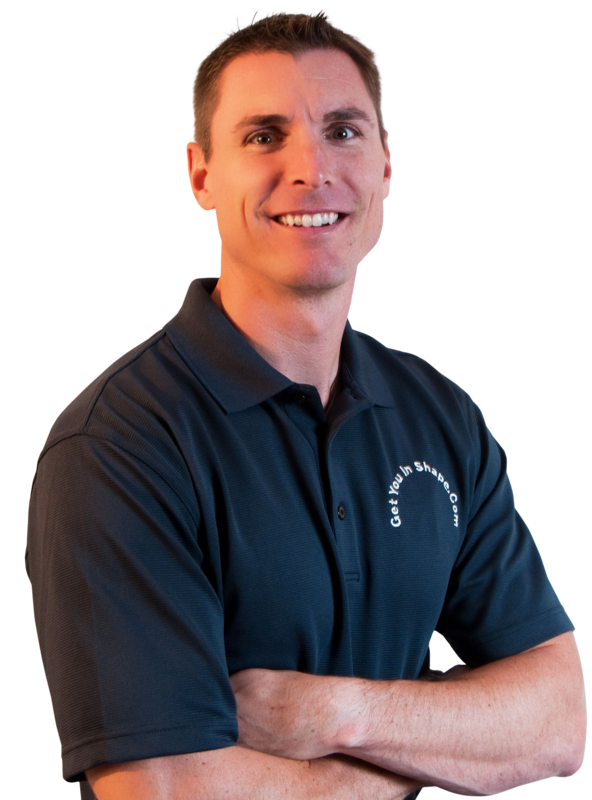 With an extensive background in fitness and nutrition, he naturally wanted to share this knowledge with others as he entered into the health and fitness field.Since 1998, Brad has been able to help thousands of participants and clients. Brad has created and produced the Get You In Shape DVD and has been featured as the fitness expert on television and in newspaper articles. Brad has pioneered a high intensity group personal training program (fitness boot camp) called the Get You In Shape fitness program that has received rave reviews. It was featured in The Obama Diaries, by Laura Ingraham. Get You In Shape was also featured on The Doctor’s TV show with Julian Micheal’s as being one of the Top Fitness Companies in Texas. Each month, the Get You In Shape program analyzes weight loss from the fitness clients, creates a positive environment for healthy support and camaraderie among participants. Brad also conducts fitness and nutrition seminars, lunch and learns, onsite corporate fitness programs, and 24 Day Challenge Contests. Brad has been blessed with gifts to help people look, feel and perform better on a daily basis and his passion is to help as many people as he can. In order to support that passion, he has built a team of like minded trainers to help carry out the Get You In Shape Core Values. 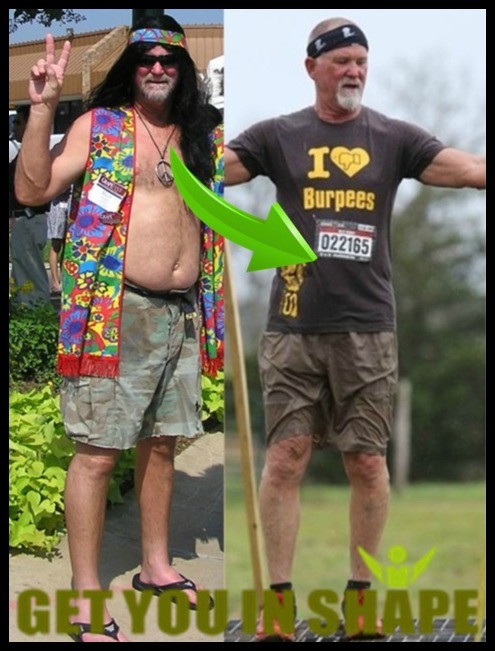 We have over 400 video Success Stories on our YouTube Playlist and hundreds of before and after picturesthat make Get You in Shape a PROVEN program. Get You In Shape of Coppell is dedicated to bringing the BEST health and fitness experience to each and every client. We are a "Group Personal Training program dedicated to helping individuals succeed with the help of an Accountability Coach and strive in a positive group environment that is created to help with motivation, encouragement, inspiration and accountability. Cynthia Linder is a former schoolteacher with a Masters Degree in Special Education. She has learned firsthand how to drop dress sizes and get in shape. Struggling for most her adult life to eat healthy and maintain a lifestyle of fitness, she met Brad (husband and owner of Get You In Shape) in 2004. She went from a size 10/12 to a size 4/6 within three months implementing the Advocare nutritional products and the Get You In Shape program. Cynthia has a huge desire to help others by motivating, encouraging, and inspiring others to reach for their goals. Cynthia is just like many other Get You In Shape clients being a mother of three young children and juggling a busy life. 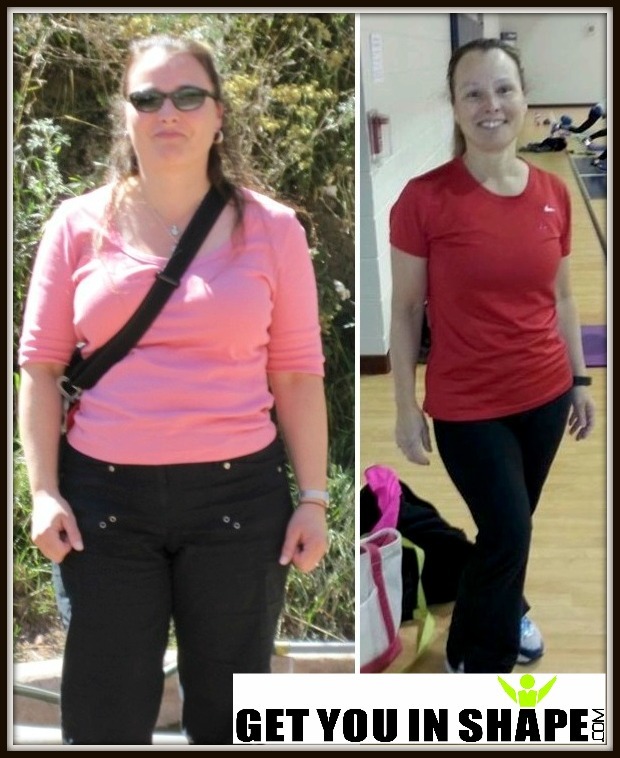 She is very inspired by the positive community of Get You In Shape clients and really enjoys being able to workout. Lotta has been a client of the Get You In Shape community on and off since 2010 when she and her family relocated to Coppell from Sweden. Lotta is married to Mark, also a GYIS member and together they have 3 children ages 20, 18 & 13 years old. Lotta is walking testimony of how the Get You In Shape program has helped her. She has lost a total of 50 Pounds and has kept it off being a part of the Get You In Shape community. Lotta has 27 years of coaching experience working with figure skaters of all ages and various levels. She grew up in Sweden where she skated competitively. She also has a nursing degree specializing in critical care and electrophysiology. In 2013 she put her nursing career on hold to concentrate on coaching and her own personal fitness and wellness goals. She is a Cooper Institute Certified Personal Trainer. In her free time, she likes to travel for beach and snow fun. Other favorite travels include biking trips around French Wine Country. In the future, she hopes to do some bike touring around California Wine Country. Personal Trainer, Chaney Respondek, currently leads and assists the Get You In Shape Fitness Boot Camps. Chaney Respondek has been working as a speech pathologist for the past Nineteen years. She spent several years trying to find a way to provide motivation in her workouts. In 2008 Chaney began working out in the Get You In Shape fitness boot camp program after hearing from a coworker, Cynthia Linder. Chaney has lost about 15 pounds after her initial start. 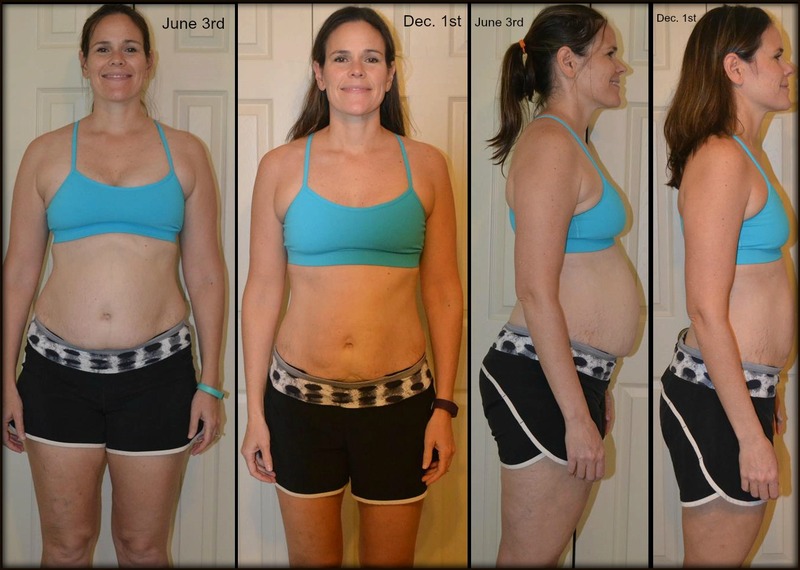 She has also utilized the 24 Day Challenge provided by Get You In Shape in order to lose additional pounds and participate in a healthier lifestyle. 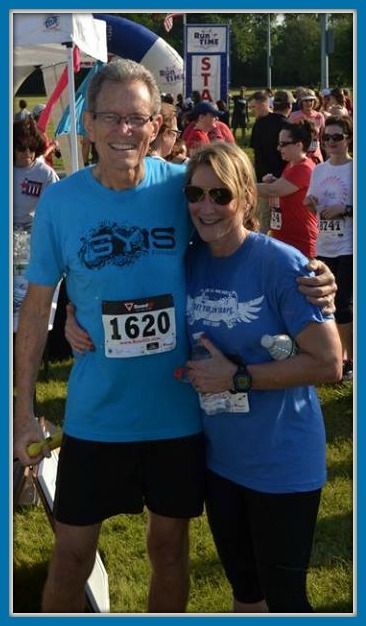 Her favorite thing about Get You In Shape is the ability to be outdoors and the flexible schedule that Brad and Cynthia offer her to be on the Get You In Shape team of personal trainer’s. 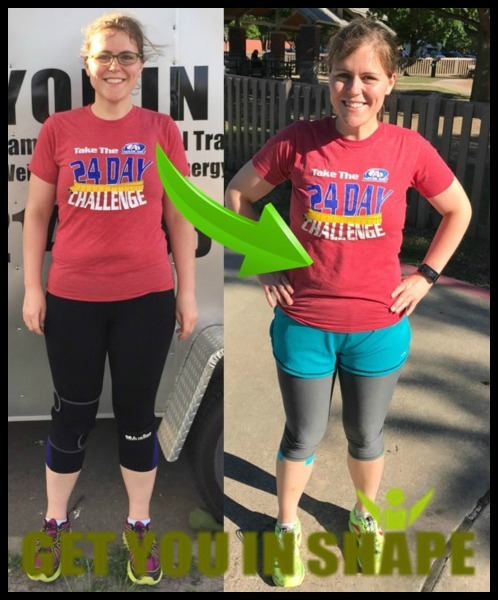 Several months after starting the Get You In Shape Fitness Boot Camp, she loved the program so much that she wanted to help other experience the same benefits as she experienced. Chaney soon began helping out in the new fitness boot camp clients in the program and really enjoyed meeting all the new clients. In 2010 Chaney obtained her certificate as a Certified Personal Trainer by the Cooper Institute. Chaney cares for the people within the Get You In Shape Fitness Boot Camp. She has seen many people come in during the first week of boot camp and go on to achieve amazing results and begin a journey to a healthier lifestyle. Chaney has lived in the Coppell area since 2003. She has worked in the Coppell school systems since 1997. She is well supported by her husband Bart who has provided encouragement to find a way to be more active. They have two boys in Middle school and High school that are proud of their mother’s achievements. 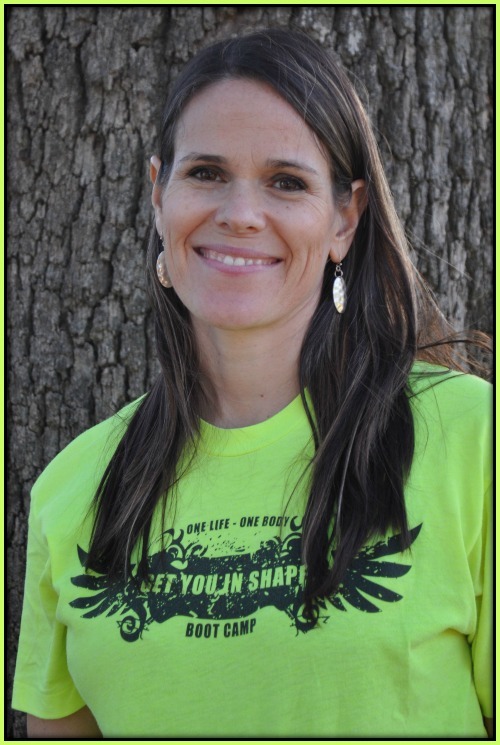 Meg currently leads and assists the Coppell Get You In Shape program as a personal trainer.. Fitness has always been a part of Meg's life. She was a competitive swimmer for many years and then became very involved with martial arts where she met her husband, Paul. Meg graduated form SMU and worked for 10 years at IBM before leaving to raise a family. While at home, Meg began teaching self-defense classes and currently teaches courses at several high schools, colleges and private groups. 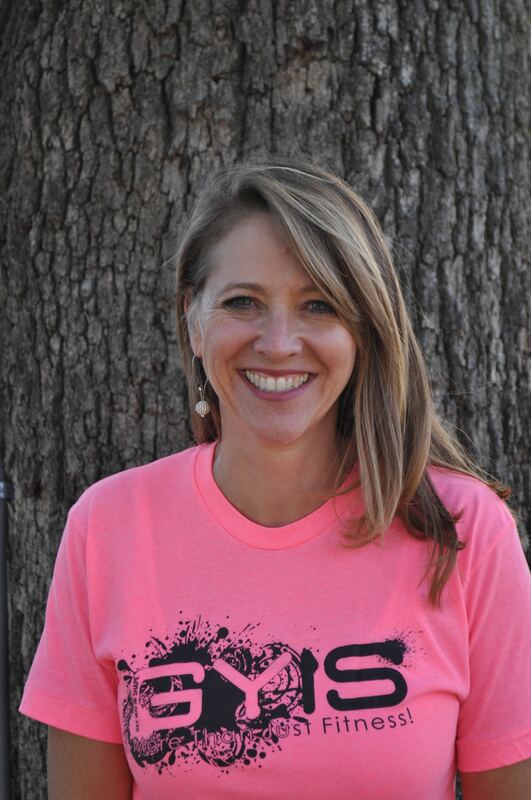 Meg has taught kickboxing for a number of years and has helped incorporate that into the Get You In Shape Coppell fitness program. Meg and Paul have two children and live in Coppell. I drank the Get You In Shape Kool Aid and decided to join the Get You in Shape team of personal trainers because I wanted to help inspire others to change . Since starting my own fitness journey, I've lost 45-50 pounds, Physically, I’m stronger and leaner than I’ve ever been. I finally have a core that will “engage”. Socially, I am surrounded by very supportive folks of all fitness levels that are making themselves, and me, better. My involvement has completely changed the way I live. Kathy joined the GYIS family as the client success coach and an accountability Coach in January of 2015. Kathy has been a Coppell Get You In Shape client and fitness boot camper since January 2011; she attends the 6:30am session. As a Success Coach, Kathy helps make sure every client has their up to date measurements/weight and progress form. 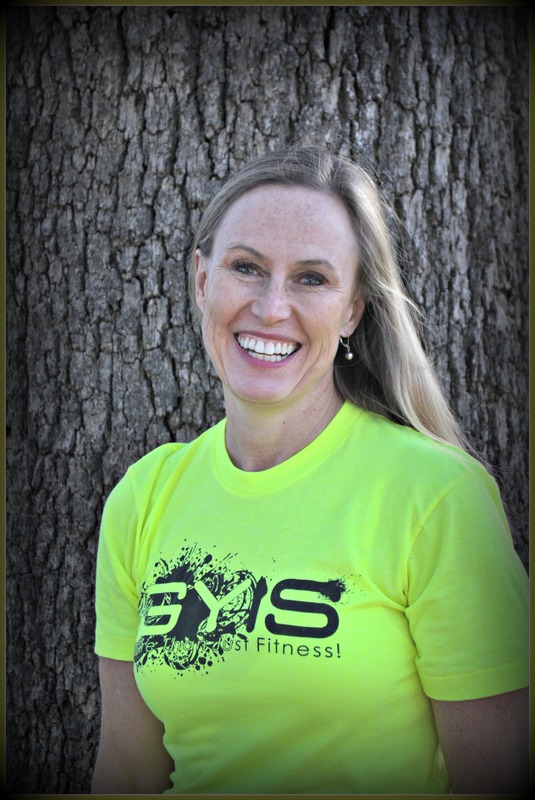 Kathy also helps the Coppell Get You In Shape Group Personal Training as an Accountability Coach. She has had great success with helping new clients get on track with their nutrition and fitness which has turned into great health, fitness and weight loss stories. 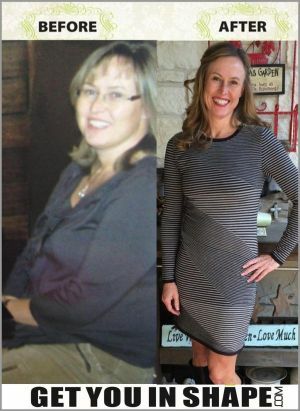 Kathy was successful in losing over 20 pounds within her first couple months with the Coppell Get You In Shape Fitness program and has kept it off for a few years now. In her own Spotlight (you can view it here) she says, "I think the biggest result is that it will be my 4-year anniversary in January. I have never stuck with a program for more than a few months." Kathy and her husband William have lived in Coppell for the past 21 years. They share their home with their puppy, Jake. About Get You In Shape. Brad and Cynthia’s fitness business, Get You In Shape, has grown into one of the leading fitness companies in the Dallas area. What started as one man’s mission has grown into a business that offers fitness boot camps, corporate wellness, private training, and nutritional programs. Clients range from high-end millionaires to dedicated housewives. The simple approach of Get You In Shape is to educate, encourage, motivate, and inspire clients to achieve their personal goals. Because of this comprehensive approach to health and wellness, Get You In Shape is ranked in the top tier of fitness businesses in the Dallas, Texas area. 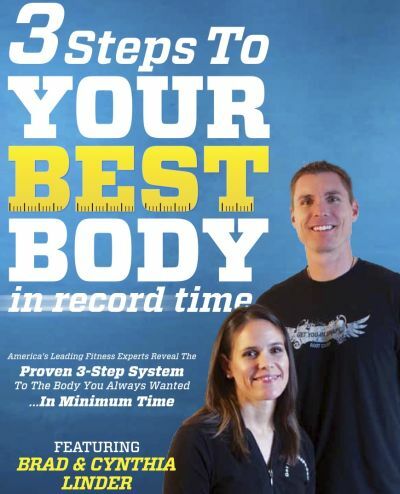 Brad and Cynthia Linder, owners of Get You In Shape, recently joined a select group of the world’s leading health and fitness entrepreneurs to co-write the health and fitness book titled, 3 Steps To YOUR BEST BODY In Record Time: America’s Leading Fitness Experts Reveal The Proven 3-Step System To The Body You Always Wanted…In Minimum Time. On the day of release, 3 Steps To YOUR BEST BODY skyrocketed to best-seller status on Amazon.com, reaching as high as #69 overall in the Amazon Top 100. The book reached #1 in both the Quick Workouts and Weight Training Categories, while reaching #3 in the Exercise and Fitness category and #24 in Health, Mind and Body category. Get You In Shape has been featured on The Doctor’s TV show. Click Here to see the episode.